It's been a few weeks since our last IMWAYR post. We're in the dredges of the school year, and it's generally around this time that my reading seems to slip. This year, it can't happen because I'm a CYBILS judge. Although you'll notice I'm reading a non-Cybils book right now. I've found that every 4-5 books, I need to read something just for me. 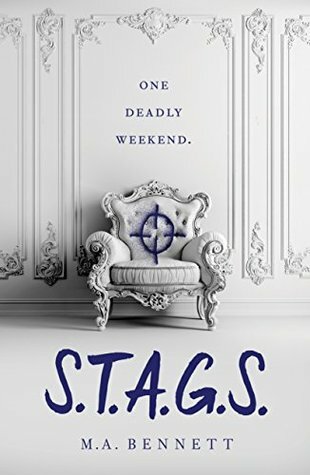 I'm reading S.T.A.G.S., an edge-of-your-seat mystery that takes place over the course of a weekend at a Medieval estate in England. Greer, a pariah at her prestigious boarding school, receives an exclusive invitation for three days of "Huntin', Shootin', and Fishin.' Unable to turn it down, she finds herself in the middle of an ages-long tradition. Amber is reading my favorite Neal Shusterman book. I have 6 copies of this book in my classroom and they are ALWAYS checked out. 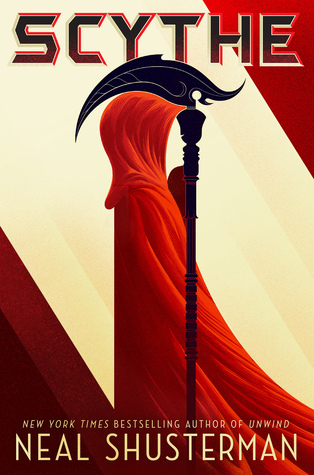 In a world ruled by the Thunderhead, Scythes hold a prestigious power-they have the ability to save or end your life. When Citra and Rowan are tapped to train for the Scythedom they begin to reveal corruption in their perfect world. As always, be sure to check out Kelle's blog for more. And hopefully, we'll see many of you next week in St. Louis at NCTE! SIX COPIES!?! I have heard so many good things about this book and so far it is not disappointing. I'm already 100 pages in (I just started last night) and it not easy to put it down!